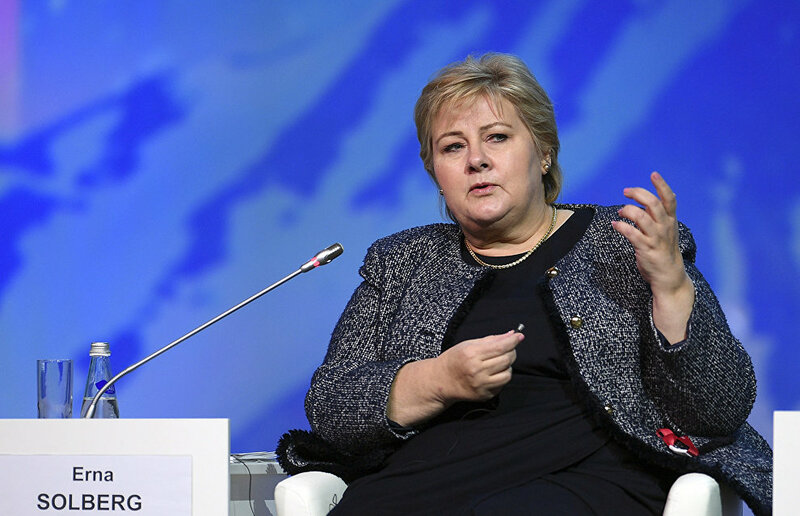 Speaking at The Arctic: Territory of Dialogue 5th International Arctic Forum, Prime Minister of Norway Erna Solberg said Norway and Russia need to develop a pilot plan for cooperation in the Barents Sea because this type of cooperation has been successful for decades. Ms Solberg urged Russia to co-develop a pilot plan on Barents Sea cooperation. Over decades of cooperation, Norway and Russia have amassed unique knowledge of the eco-system. This will help reduce the threats we are facing today, she said. Ms Solberg said bilateral cooperation in preserving the northern seas' resources has been going on for over 50 years, and has helped improve the condition of the marine eco-system in the past few decades. Russia and Norway are also cooperating in exploring marine resources. This cooperation has also justified itself in recent decades. The amassed joint experience in the Barents Sea is of the highest quality, Ms Solberg said. She also said that a reduction in hothouse emissions and the use of low-carbon technology would help meet the challenges in the Arctic. Countries that use the resources should develop joint strategies of ocean management. The law of the sea creates a natural foundation for close cooperation in the Arctic, Ms Solberg said.